Corporate events can bring a swirl of attention to your company, boosting your profile while helping people form strong connections with your business. But how do you let people know about your corporate events in the first place? Well, with invitations of course! You need people to come to your corporate events, but how should you handle corporate event invitations? Should you stick with printed invitations, or go digital? Should you send the same types of invitations for corporate holiday parties as you would for a corporate seminar event? If you’re looking for help, you’re in luck, because the event experts at Platinum Banquet Hall are here with a helpful guide to corporate event invitations and announcements. People love to receive event invitations in the mail, but the cost of printing professionally designed invitations can eat into your corporate event budget. That’s why we recommend only going with printed invitations for intimate corporate events, like company holiday parties or corporate awards ceremonies. In today’s digital age, a printed invitation is something really special. It shows the level of thought and care going into your event, and conveys that your event is really unique. While they aren’t always necessary, be sure to consider using printed invitations for truly special corporate evens. You probably deal with your coworkers and clients via email almost every day. In today’s world, most businesses communicate through the web, so why not notify corporate event guests with digital invitations? If your company has a graphic designer, consider asking them to craft a unique corporate event invitation to be emailed to your guests. They’ll be able to easily access the invitation and event details whenever needed via email, serving as a more direct way to reach your guests than by mailing invitations. Check out some examples of successful corporate event invitations to get a sense of how to design yours. Corporate Even Trends 2017: 4 Event Trends You Need To Know! If you want people to feel more connected with your corporate event, consider making a Facebook event for the big day. This works great for corporate galas or parties that are open to the public, allowing guests you might not directly know to discover the event on their own. Even better, a Facebook event will promote discussion amongst your corporate event guests and allow you to easily update them on any changes to your event. Many big corporate events feature huge announcements related to your company. Whether you’re hosting a corporate awards ceremony or a corporate product announcement, you’ll want to let the public know about exciting news and developments from your event. That’s why you need to remember to complete some press outreach before and after your corporate event, that way the public has the chance to get invested in your company. This is particularly important for something like a corporate charity event or other corporate events that can have a big impact on the community. Your corporate event invitations are the primary way to get guests interested in attending, and with some thoughtful planning and skilled design you’ll have some perfect event invitations. Of course, you’ll also need a venue to host your event. And if you’re looking for a corporate event venue in Los Angeles, consider Platinum Banquet Hall. 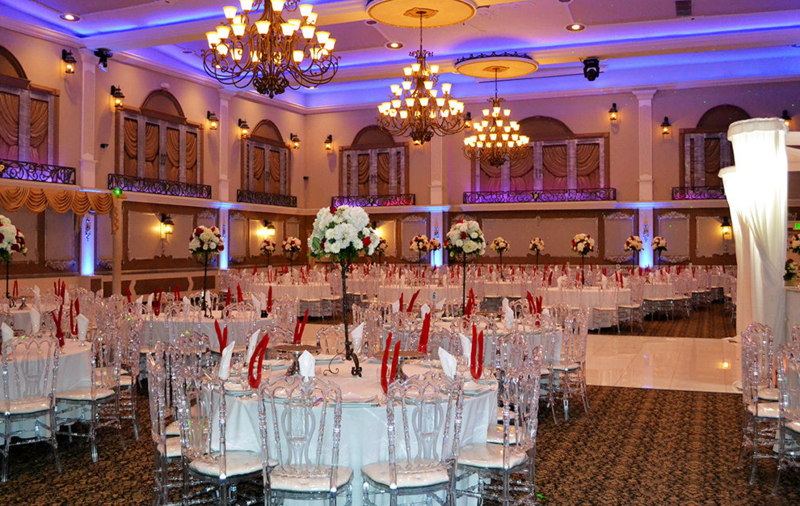 Our event venue offers spacious, luxurious accommodations that can be setup for any type of event. From corporate conferences to fundraising galas, awards ceremonies, networking events and more, we have you covered. Contact Platinum Banquet Hall today for more information on booking and availability.